Made in the USA outside of Nashville, Tennessee, Hearthwood is a beautiful, premium engineered hardwood line that has a story and a soul. The company’s legacy spans 70 years and is a contributor to global environmental and social change. Sounds like the whole package, right? Well, it is! We are pleased to partner with Hearthwood and are excited to share and promote their vision of tradition and beauty. Just like Bird, Hearthwood is a company rooted in family and tradition. 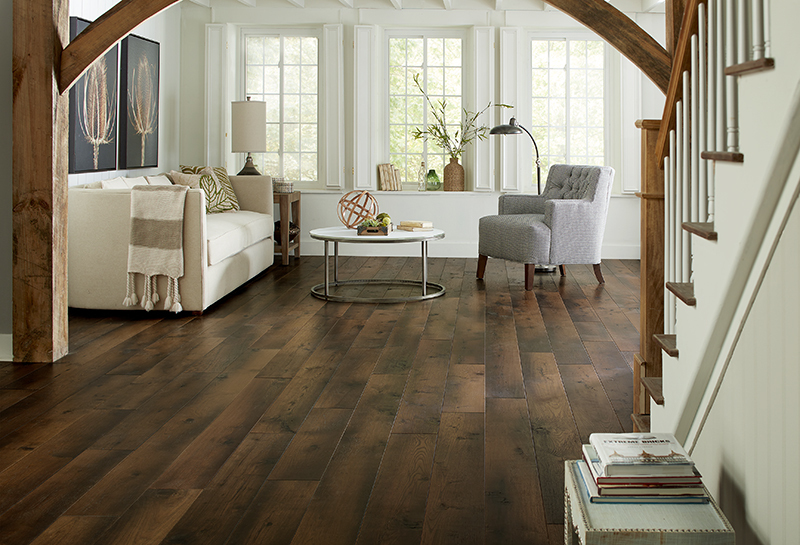 The company’s four-generation legacy was started by Andy Anderson, the inventor of the American engineered wood floor in the 1940s, continued by Bob Anderson, the founder of Anderson Hardwood, and furthered by Don Finkell, who began Cumberland Products Group. Hearthwood is the flagship brand of Cumberland and started by fourth generation, Allie Finkell, as a way to honor her legacy in a fresh approach for future generations. The Hearthwood line is simple with only 5 collections and a total of 24 colors. Despite its simplicity, offers a range of looks for traditional, contemporary, and transitional decor. The five different collections are: Dynamic Earth, Controlled Chaos, Tall Timbers, Au Naturelle, and Tennessee Trails. Each collection has a character classification and a color variation guide to assist the homeowner on the look and style that are seeking for their home. The personal touches are central to Hearthwood’s belief that hardwood is the foundation of the home. Hearthwood’s socially responsible business model uses a Prison Industry Enterprise program to employ incarcerated individuals and to help them gain practical, real-world job skills. Located on the campus of the Turney Center Industrial Complex in Only, Tennessee, Hearthwood’s plant provides opportunities for offenders and civilians alike. Participation in the program is entirely voluntary. The manufacturing model provides on-the-job training, helps rehabilitate incarcerated individuals, and offers hope for the future. These facilities provide offenders with the opportunity to earn a civilian wage so they can save for their release and support their families while serving their debt to society. A generous portion of the income earned by offender workers goes to the State of Tennessee (25%) and to the victims of their crimes (25%). This allocation of earned income minimizes the financial burden on the state’s taxpayers, helps make restitution, pays taxes for room and board, pays for child support or alimony as necessary, and contributes to the offenders’ personal savings accounts to facilitate a smoother reentry process. Notably, recidivism rates for offenders in the Hearthwood program drop to less than 10% as compared to a more than 50% rate of recidivism for those who are not enrolled in a program such as this. Hearthwood currently has 200 offenders enrolled in the program with over 500 on the waiting list. Hearthwood is proud to work with the Gary Sinise Foundation’s Restoring Independence Supporting Empowerment (R.I.S.E.) program to provide specially adapted smart homes to severely wounded veterans and their families. By donating hardwood floors, Hearthwood helps America’s most severely wounded heroes overcome some of life’s day-to-day challenges. Many wounded veterans prefer the comfort and enduring stability of hardwood over other surfaces because hardwood floors are easier to maneuver on and navigate. Hearthwood participates through our partnership with the National Wood Flooring Association (NWFA). As for their environmental values, Hearthwood is highly sustainable through using American domestic trees, raw materials, and furthermore, promotes healthy indoor air quality by using topcoats made from low-emitting materials. These social and environmental standards truly emphasize Hearthwood’s timeless product, along with the company’s motto, “floors with deep roots.” Additionally, every Hearthwood hardwood panel is third-party verified for EPA TSCA Title VI and CARB compliance. They have also earned Indoor Advantage Gold certification by SCS Global, a respected industry organization. 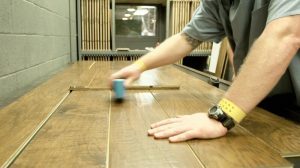 Hearthwood is the only manufacturer who has achieved stringent EF 2012 Flooring Standard certification that speaks to the quality and repeatability of their manufacturing process. To see this beautiful line, contact your William M. Bird sales representative for samples and display information.